Checknotes bring POWER to your observations! How do I choose a Checknote Template? From the main menu tap “Create a New Map” or “Map Existing Group”. Tap “Done” to enter the mapping screen. Tap “CheckNote Template” and the list will appear. Tap “View/Edit” to view the characteristics of each template or to edit your desired template. 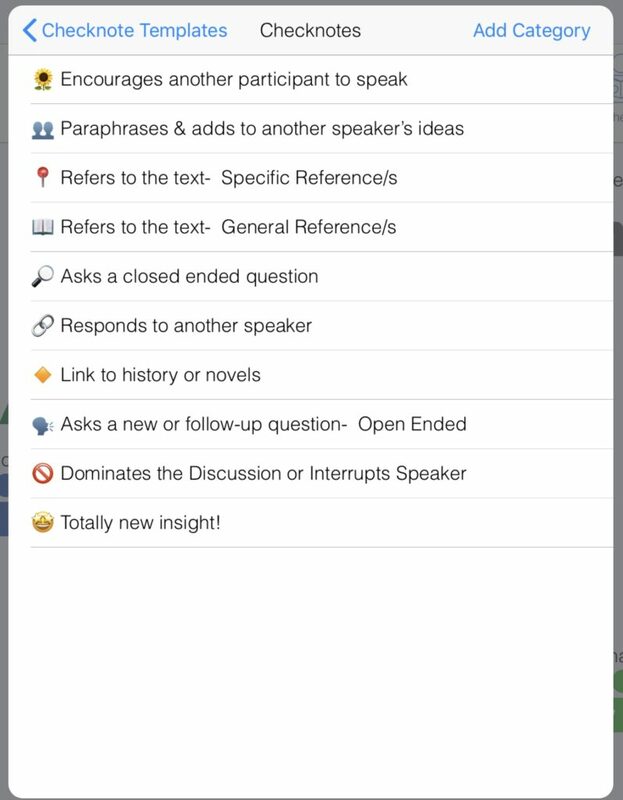 Tap “Yes” and that CheckNote template will be included with all future groups until you edit the existing template or select a new template. Tap “Close” and you are ready to start your class or meeting! 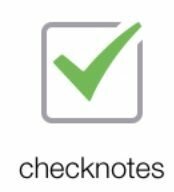 How do I edit a Checknote template? Tap “View/Edit” view or edit your desired template. 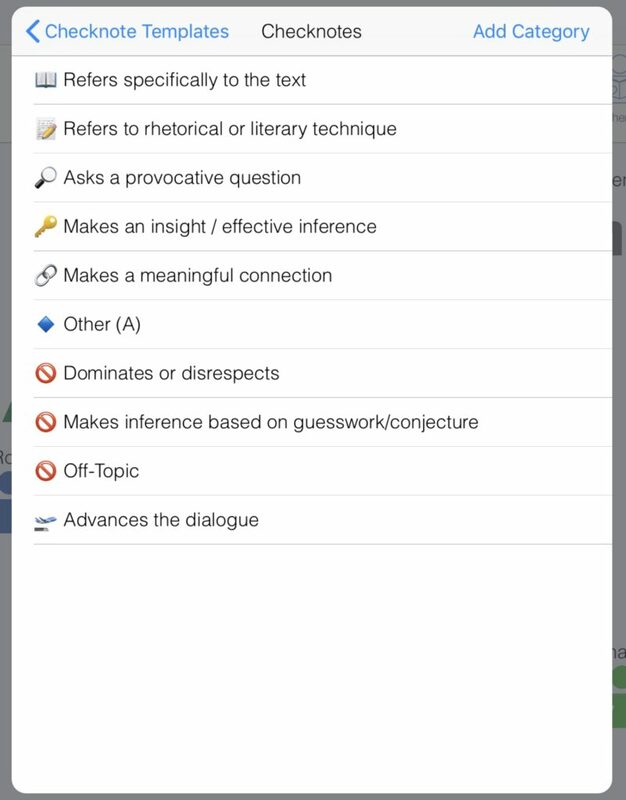 You can tap on any characteristic to edit the description, you can swipe left to delete a characteristic, or you “Add a Category” to add a new characteristic. To create your own template, tap “My Template”, which will be blank upon download of the app. Tap “Add Category” to add a characteristic. Swipe any category left to delete the category from the template. We recommend using an Apple symbol or emoji for each Characteristic for quick and easy reference while mapping. Questions or Suggestions? NEED ADDITIONAL HELP W/ EQUITY MAPS?